DETROIT (Bloomberg) -- U.S. auto dealers say a new government regulator may crack down on loans, including those to consumers with poor credit, a move that might slow the industry's recovery. So-called subprime loans, which financed $13 billion in vehicle purchases last year, may be among issues tackled by the Consumer Financial Protection Bureau that White House adviser Elizabeth Warren is forming as part of the Dodd-Frank financial overhaul law. The bureau's staff includes Holly Petraeus, leader of its Office of Servicemember Affairs, who has criticized predatory auto loans. Dealers, who were exempted from direct regulation under Dodd-Frank, “do have concerns‘‘ they could be regulated anyway through the bureau's authority over auto-finance contracts, said Andy Koblenz, vice president for legal and regulatory affairs at the National Automobile Dealers Association. ‘‘We're not sitting here with any notion of exactly how they are going to exercise the authority,'' Koblenz said in an interview near the trade group's McLean, Virginia, office. A rebound in subprime loans, generally defined as those charging more than 10 percent interest, has helped fuel a comeback in U.S. auto sales after they fell to a 27-year low in 2009. Subprime loans backed about 500,000 sales last year, 4.3 percent of the market and totaling about $13 billion, according to data compiled by Edmunds.com, a consumer auto pricing Web site in Santa Monica, Calif.
‘‘I believe this will be a regulated area based on my reading of the act,” Brian Reed, chief executive of San Pedro, Calif.-based Intersection Technologies and a veteran of the auto finance business, said in an interview, referring to the Dodd-Frank legislation. The Center for Responsible Lending, a Durham, North Carolina-based consumer group, says auto dealers earn about $20 billion annually in added interest and fees from loans that customers may be able to get cheaper elsewhere, with minorities and low-income buyers including military personnel often targets. Warren, 61, was named in September by President Barack Obama as a special adviser to the Treasury secretary and assistant to the president. Warren co-wrote a 2008 paper calling for creation of a regulator to protect consumers from unscrupulous lending practices, and the bureau became part of the Dodd-Frank measure. The bureau is scheduled to begin work on July 21. Raj Date, a Warren adviser, last month began soliciting names from industry and consumer groups of candidates to run the bureau on her behalf. Date will also help find a head of research devoted to studying auto and student loan markets, according to the bureau's draft organization chart. Petraeus, wife of General David Petraeus, commander of U.S. forces in Afghanistan, was quoted in the November 2010 issue of USAA Magazine about the couple's unwise purchase of a Jensen-Healey sports car after her husband graduated from West Point in 1974. She told the magazine that “shady auto dealers” were among the figurative “bears lined up at a trout stream” outside of military bases. Jennifer Howard, a Warren spokeswoman, declined to comment on behalf of Warren, Date and Petraeus. Keest, a senior policy counsel at the center. The NADA, which represents about 16,000 new car and truck dealers, argues consumers would have a more difficult time getting loans directly from banks. Koblenz called the Center for Responsible Lending's assertion that dealers make $20 billion a year on loan markups a “myth” because the calculation is based on rates consumer cannot get. “Our ultimate goal is to ensure the broad availability of consumer credit to the largest universe of buyers at rates that are appropriate to their circumstance,” he said. Auto sales may rise 11 percent this year, the same growth rate as last year, to 12.9 million vehicles, based on the average of 17 analysts surveyed by Bloomberg last month. 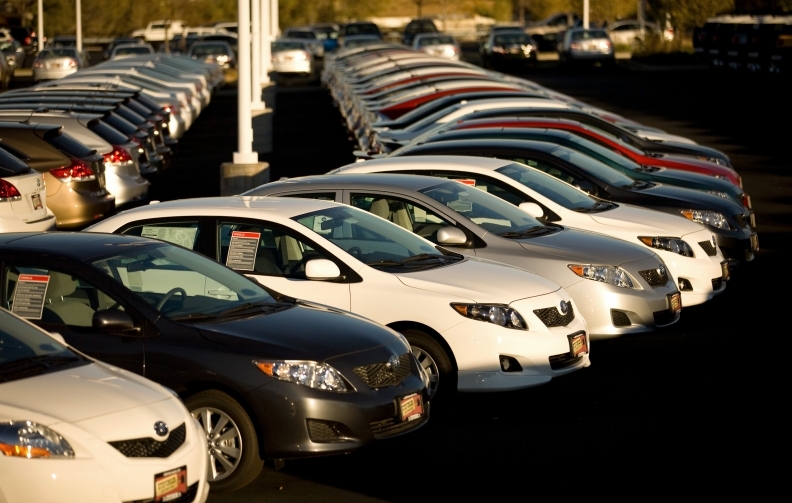 Annual U.S. auto sales averaged 16.7 million from 2002 to 2007. The approval rate for subprime loans increased to 13 percent last year after dropping to 4.8 percent of applications in December 2009 from an average of about 66 percent from 2002 through 2007, according to data collected by CNW Marketing Research Inc. in Bandon, Oregon. “People are losing sight of the fact that we had a housing bubble but we also had a credit bubble,” the Center for Responsible Lending's Keest said.